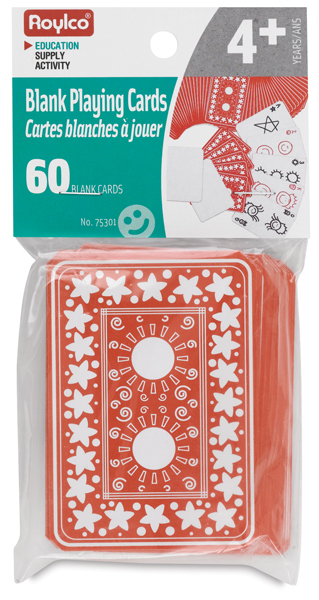 Create your own flash or game cards by decorating the blank side of these cards with markers, pens, pencils or paints. 60 cards per package. Choose from red backed small cards (2-1/2" × 3-1/2") or blue backed large cards (3-1/2" × 5"). Small cards have red backing. 2½" × 3½" (64 mm × 89 mm).